anyone know the name and phone number of the Geoff's PC business? I need to buy a Windows XP laptop to run my setup. I would be happy to help you improve your polar alignment. I used the "drift method" to get mine as close as I could. It takes a bit of time, but will get your wedge angle spot on. Just have to wait for a bit of clear sky!! Nice image Andy, you certainly must have had good seeing! 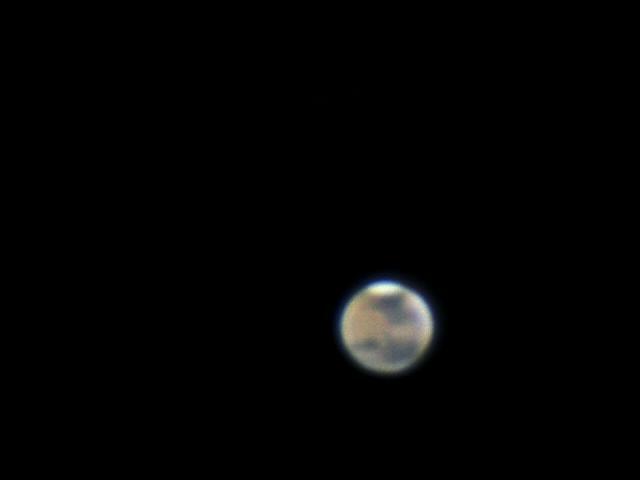 Here is my latest try at Mars, from Jan 31st. Not such good seeing, so I have had to work the image processing a bit harder than I like. Sorry I won't be able to make the meeting this evening, I have a couple of cases of swine flu in the house [not me though..], so I judge it better not to put others at risk.